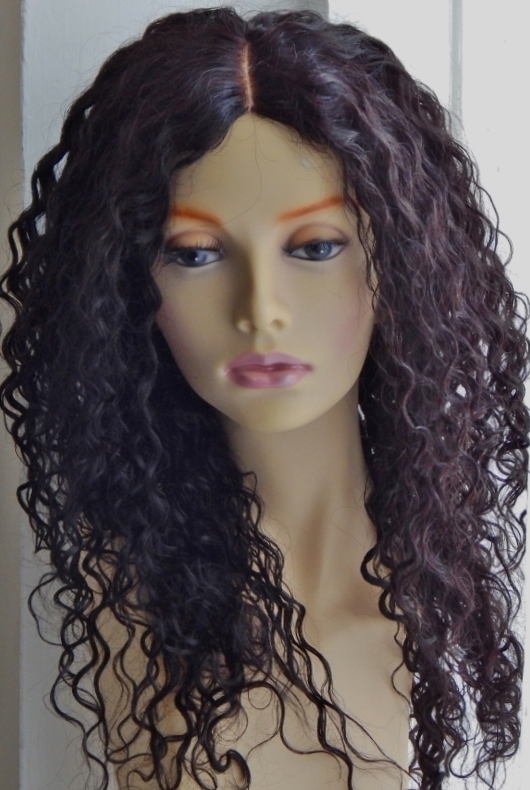 Full Lace Wigs - What are the different densities for lace wigs? "Do full lace wigs have different densities?" Full lace wigs often come with descriptions that mention densities and "freestyle partings"; but for the regular girl about town it's not always clear what this should mean. We'll often hear people saying they have thick hair or thin hair and what they're actually referring to is hair density. Hair density is the number of hair strands on the head and it's usually measured by counting the number of hair strands in a square centimetre (on average 200 hairs per square centimetre). Hair density isn't the same as hair strand thickness and hair density isn't related to hair texture and according to http://bionumbers.hms.harvard.edu/bionumber.aspx?id=101509 the number of hairs on a (healthy functioning scalp) head can be between 90,000 and 150,000 (this obviously doesn't account for those who differing reasons may have total or partial hair loss). Using the above numbers the mean average of hairs on a healthy head is 120,000 but the frequently quoted number is 100,000 - so we'll go with that. Short story and sciemathetics over. "What's the range of densities for full lace wigs and lace front wigs?" 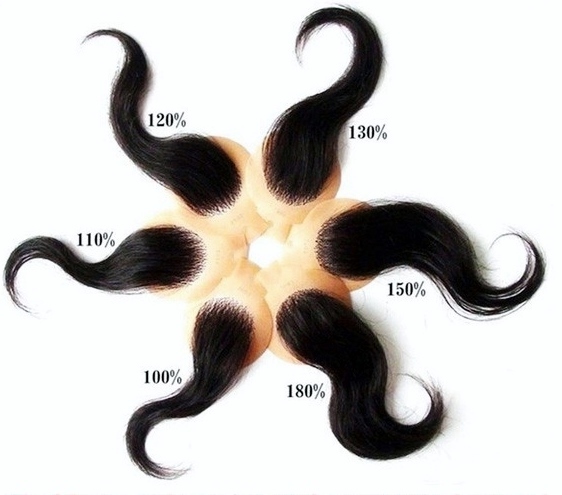 Densities for lace wigs (full and lace front wigs) can actually start from 80% of the average hair density mentioned above (80,000 strands based on the mathience figures above) and usually go up to 180% of average hair density (180,00 strands based on the mathience figures above). "What's the standard density for lace wigs?" If the aim is to wear hair that looks natural any lace wig with a range of 120% - 130% will do the trick and are often referred to as medium density. 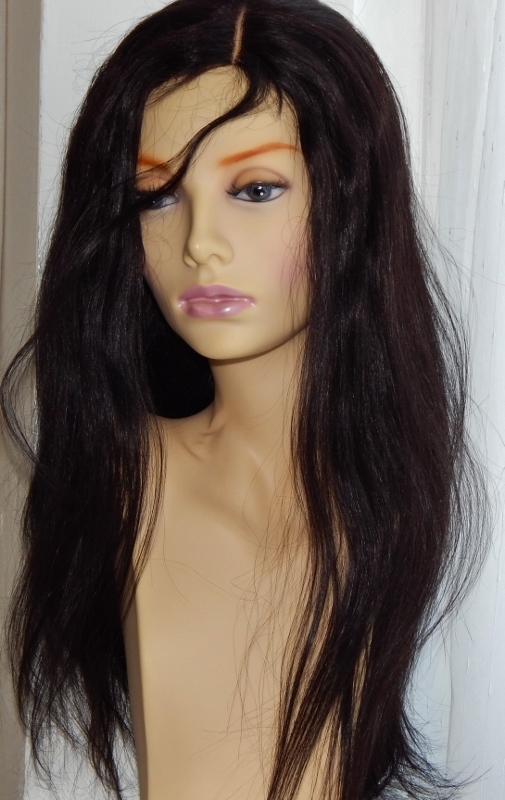 "What are the increase amounts for higher density lace wigs?" "Does a higher density full lace wig mean a higher price?" Full lace wigs and lace front wigs with higher densities will usually cost more due to the extra labour involved to ventilate (or weft) a further 10,000 hairs for each 10% increase above 130%. "Why do some wigs have the same hair density but look fuller or thinner?" The two lace wigs above have the exact same density, the same length of hair and weigh the same (well one is 178g and the other is 181g but let's not be pedantic); yet to many the curlier wig looks fuller but this is only because of the texture. The hair density you choose is ultimately down to what makes you feel comfortable and confident; that said, unless you choose a custom made wig, a standard lace wig (irrespective of texture length) will be of medium density. Okeydokey that's the dance through densities done and dusted.